The firm was founded in 1952 by Sam Laser. The Laser Law Firm's commitment to tenacity in the courtroom has been the defining characteristic of the firm's outlook and reputation. Laser Law Firm, P.A. has attained a Martindale-Hubbell Law Directory Legal rating of "A": Very High to Preeminent and a General Recommendation Rating of "V": Very High. The Laser Law Firm is also included in Best's Directory of Recommended Insurance Attorneys. Originally, the firm had a general civil practice, but for the last thirty years has been principally engaged in a civil defense practice, specializing in all areas of corporate and insurance defense litigation. The firm's litigators have bench and jury trial experience in all types of civil defense litigation including arson, fraud, medical malpractice, automobile negligence, professional responsibility and errors and omissions, civil rights, education, municipal, workers' compensation, business and commercial litigation, admiralty, products liability, premises liability, chemical and occupational exposure, toxic tort, environmental litigation and regulatory practice, and general litigation. The Laser Law Firm additionally provides insurance coverage analysis, declaratory judgment, and bad faith litigation services to its insurance clients. From our founding in 1952, the Laser Law Firm has been known for its extraordinary success in the courtrooms of Arkansas and its innovative client service. We have a long history of public service, and our lawyers are recognized by their peers for their excellence. Our attorneys have been named to or are a part of Woodward/White's Best Lawyers in America, Mid-South Super Lawyers, American College of Trial Lawyers, Litigation Counsel of America, the Defense Research Institute and the Arkansas Association of Defense Counsel. We represent a highly sophisticated client base encompassing a range of industries including insurance and financial services, telecommunications, transportation, real estate, energy and natural resources, healthcare, consumer goods and services, agriculture and agri-businesses, manufacturing, and public entities. Our practice areas include class action defense, environmental litigation, governmental and legislative affairs, health care, insurance defense, labor and employment, alternative dispute resolution, real estate disputes, transportation, professional negligence and product liability. Litigation, coverage and trial defense representation to insurers and their insureds include the areas of motor vehicle law, common carrier liability, premises liability, environmental litigation, construction, workers' compensation, professional liability / errors and omissions claims, product liability, employment law through our representation of management, which includes directors and officers claims, age, race, and sexual discrimination claims, and many other areas in the defense of negligence claims. Currently, the Laser Law Firm represents significant numbers of Fortune 500 companies, most insurers doing business in the State of Arkansas, small businesses and individuals in litigation across the entire state from our offices in Little Rock, Fayetteville and Texarkana. During the last six decades of our practice, we have developed a deep relationship with our clients, and our representation of most of the major insurance companies doing business in Arkansas exceeds fifty years. We are well known for the thoroughness of our trial preparation and our many successes in the courtroom; experienced plaintiff's counsel understand our willingness to try cases and win significant verdicts. Our reputation enables us to successfully protect the interests of our clients while delivering exceptional service in a cost effective manner. We believe in thorough, cost effective, preparation for trial and that there is no substitute for courtroom experience. Collectively, our law firm has tried over 3,000 cases to verdict. We have participated in hundreds of appeals, mediations and arbitrations. Our attorneys are admitted to practice in Arkansas, Connecticut, Kansas, Louisiana and Missouri, and, from time to time, we have been called on to try cases in states that border Arkansas. James M Duckett serves as "of counsel" for the firm in the Little Rock office. Jim was born in Fort Smith, Arkansas in 1939. He was educated at the University of Arkansas, receiving a Bachelor of Science in Chemical Engineering in 1963 (B.S.Ch.E. ); He attended the University of Arkansas School of Law, and received his J.D., in 1973. Jim was admitted to the Arkansas Bar in 1973, as well as the USDC Western and Eastern District of Arkansas. Currently Jim is a member of the Arkansas and Pulaski County Bar Associations. 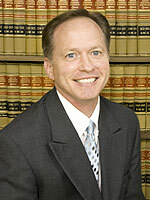 His primary practice concentration is in Commercial Litigation, Commercial Ground Transportation and Insurance Defense. Richard M. Scholnick serves as "of counsel" for the firm in the Little Rock office. He is licensed to practice in Louisiana and Connecticut. Dan joined the Firm in 1973 after completing a one year internship as a law clerk in the Pulaski County Circuit Courts. 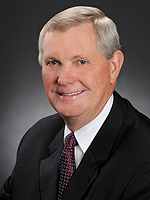 He is second in firm seniority, a senior partner, and has been with the firm for a total of thirty-six years. His practice, primarily, includes automobile negligence claims, general insurance defense, school litigation, premises liability, professional E&O defense, municipal liability, employment discrimination, and civil rights. Dan has obtained the highest Martindale-Hubbell Law Directory Rating of "AV." He has been selected to the lists of Best Lawyers in America, as well as a Mid-South Super Lawyer, since 2008. He is licensed to practice in all state and federal courts in Arkansas, and was licensed to practice before the United States Supreme Court in 1999. Dan is also a Fellow of the Arkansas Bar Foundation. The Foundation awards approximately 40 scholarships annually to students at the University of Arkansas School of Law in Fayetteville and UALR Bowen School of Law in Little Rock, in addition to funding special law-related projects such as the statewide Mock Trial Competition. Dan was born in Paragould, Arkansas, on February 20, 1945, and was admitted to the bar in 1972 after graduating from the University of Arkansas with his juris doctorate that same year. His undergraduate work was at Ouachita Baptist University in Arkadelphia, Arkansas, where he obtained a bachelor of arts degree in political science in 1967. While in college, he was a member of the Tiger basketball team, Blue Key, and the Sigma Alpha Sigma Social Club. During his law school days, he was a member of Phi Alpha Delta legal fraternity and was on the Law Review, serving on its editorial board in 1971-1972. Currently, Dan is a member of the Pulaski County, Arkansas and American Bar Associations, the Defense Counsel Bar of Arkansas, Defense Research Institute, the NSBA Counsel of School Attorneys, the William H. Overton Inn of Court and a Fellow of the Litigation Counsel of America Trial Lawyer Honorary Society. Keith, a partner with the firm, started as a law clerk in 1989, before becoming an associate attorney in 1991. 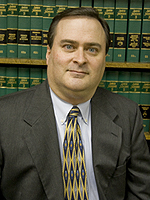 He is a member of the Pulaski County, Arkansas, and American Bar Associations. He is licensed to practice in all Arkansas courts, the United States District Court, Eastern and Western Districts, the United States Eighth Circuit Court of Appeals, and the Supreme Court of the United States. 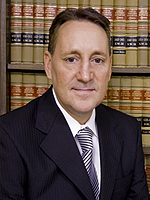 Keith's work and trial experience include a broad range of corporate and insurance defense cases, automobile and trucking cases, premises liability, commercial torts, subrogation, workers' compensation, nursing home malpractice, asbestos and toxic torts, products liability, medical malpractice, fair debt collection and fair trade practices, and civil rights. Keith received his juris doctorate from the University of Arkansas at Little Rock in 1991 after earning a master of arts in developmental psychology from the University of Nebraska at Omaha in 1989 and a bachelor of arts in psychology from Centenary College in Shreveport, Louisiana, in 1986. In 1996, he earned his current "BV" lawyers rating from Martindale-Hubbell, and was selected for inclusion in Who's Who in American Law (8th, 9th, 10th & 11th editions). Kevin received his juris doctorate from the University of Arkansas at Fayetteville with high honors. He was recognized as "Who's Who" at the University of Arkansas, where he was elected president of Blue Key. He also was chosen to be a member of Mortar Board, Order of Omega, Omicron Delta Kappa, Beta Gamma Sigma and Sigma Nu, along with other honors at the University.